Barclays analysts, the same ones who make claims about the iPhone 8, are now reporting that Apple is working toward releasing three new iPads in March of 2017. Two of them are refreshed versions of both iPad Pro models which come in 9.7 and 12.9 inch sizes, and there’s word of a new iPad model that would share the same size footprint as the 9.7 inch iPad Air 2, but feature no bezels. 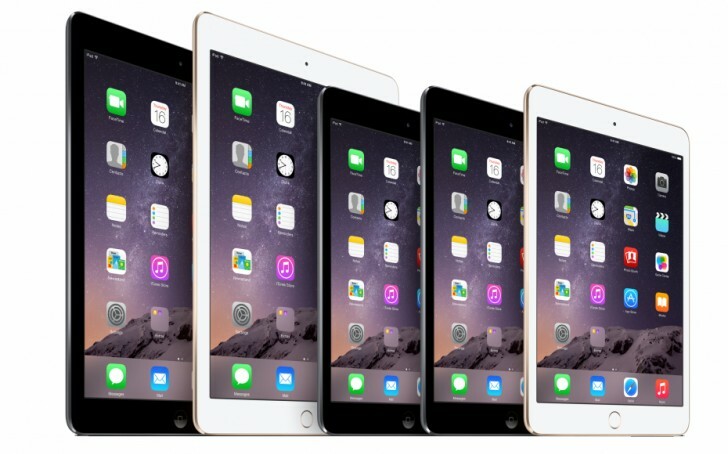 The model in question would yield a screen size between 10 and 11 inches, a new category of screen sizes for the iPad. As for the 12.9-inch iPad, it is also said to be getting a new True Tone display as the one that debuted on the iPad Pro 9.7inch model, a sensible move. Regarding the new 9.7-inch iPad Pro, this model would no longer carry a “Pro” branding, as it is said to be a “low cost” model which would be sold alongside the iPad Mini, creating a new tiered portfolio of iPads, if this all proved to be true. Likewise, there is no plan to refresh the iPad Mini until 2017, so no new iPad Mini this year, according to the rumors. If the bezel-less iPad were true, this would be a sure indication that Apple could be planning to do the same for a 2017 iPhone. It would be ideal for the company as its rapid growth has shown signs of slowing down.